We regularly review our pricing structure, and it's been almost a year since the last Speedy Route pricing change. Our subscriptions are excellent value, and allow unlimited route calculations while a subscription is valid, with individual route calculations allowing up to 500 locations per route. You are always in total control of what you spend, as Speedy Route subscriptions do not automatically renew, and there is no contract to tie you in. When a subscription expires, it is totally up to you if and when you purchase full access again. We also currently have a special offer of a Year's access for just $250. Speedy Route has partnered with OptiMap, who recently shut down their http://optimap.net/ and https://gebweb.net/optimap/ optimal route planner websites. OptiMap is now no longer available, and OptiMap recommends Speedy Route as the best replacement for previous OptiMap users. 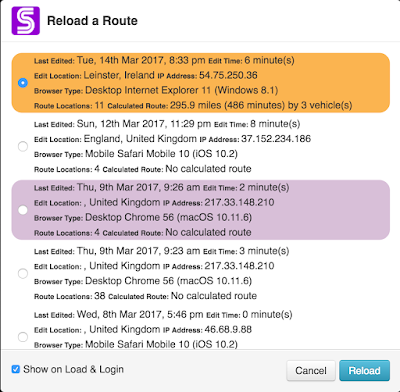 Click on the "Plan a Speedy Route" link in the top left of the https://www.speedyroute.com/ website to take our interactive tour and quickly acquaint yourself with all the features available in Speedy Route. Visitors to Speedy Route can now calculate five optimal routes of up to 20 locations for free, per rolling 24 hour period. (Previously free calculations were limited to two per day, and up to 12 locations per route). This is great news if you want to trial or demo Speedy Route, as you can calculate several different routes per day to test the service out, before purchasing paid access for routes of over 20 locations or more than five calculations per 24 hours. Paid access costs just $15 per month, or $5 for one-off 24 hour access, and allows an unlimited number of route calculations, with each route containing up to 500 locations. We've reduced the prices of our monthly and daily subscription plans, to just $15 per month or $5 for one-off 24 hour access. (UK and Euro prices are now £12 / €13.50 per month, and £4 / €4.50 for one-off 24 hour access). Weekly subscriptions are also great value at $7.50 (£6 / €6.75) per week. We also have a special offer of one year's access for just $150 (£120 / €135), so Speedy Route is now more affordable than ever! 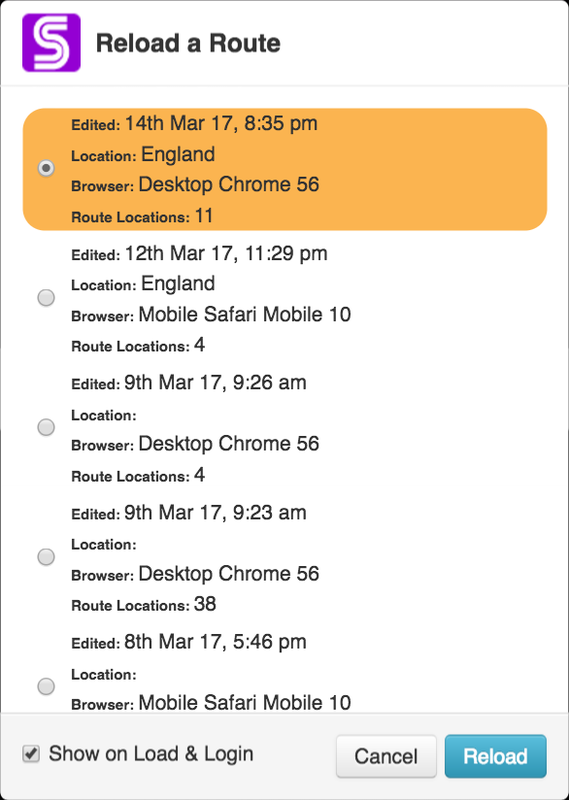 Speedy Route can store notes against your locations that you can use for any purpose that is useful to you, e.g. for customer or order numbers, phone numbers, spreadsheet cell references etc. 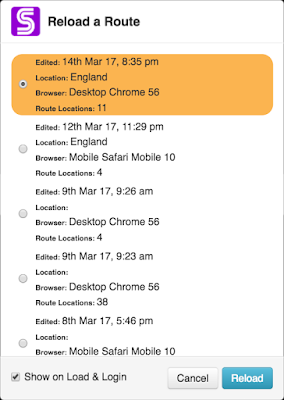 Notes can also be bulk imported along with location addresses. Please see our full blog article about notes for more information. We have also re-instated real time live traffic-aware route calculations, as this information is now made available to us by our mapping provider Mapbox when calculating optimal route directions. Please take a look at our blog article about real time route calculations to learn more. Note that this option is currently only effective for routes calculated in the United States, Mexico, or Canada. 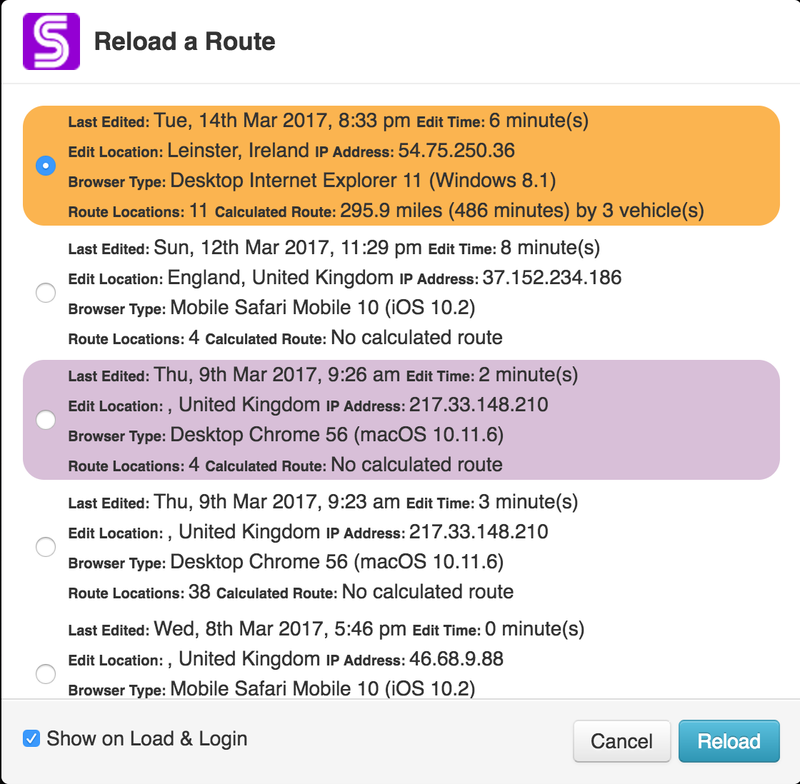 If you log in with your Speedy Route account (or by Facebook / Twitter / Google / PayPal / Amazon) as you work on your routes, they will be available from any device (computer / laptop / phone / tablet) that you log into in future. (If you don't log in, the routes will be available for reload on the device you used last time only). 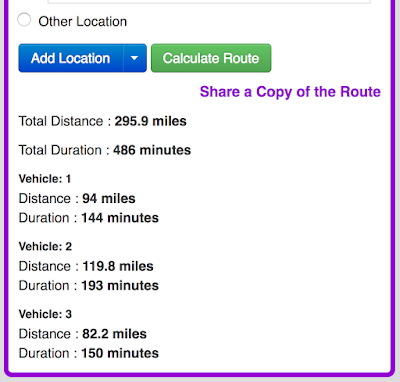 Viewers of the shared route don't need a Speedy Route account or subscription to see the route, so you can share calculated routes with anyone who needs so see them. This means you could calculate several different routes from your company office for different drivers etc. and then share each calculated route with the driver for that route, without the driver needing their own Speedy Route account and subscription, and also without needing to share your own account details.